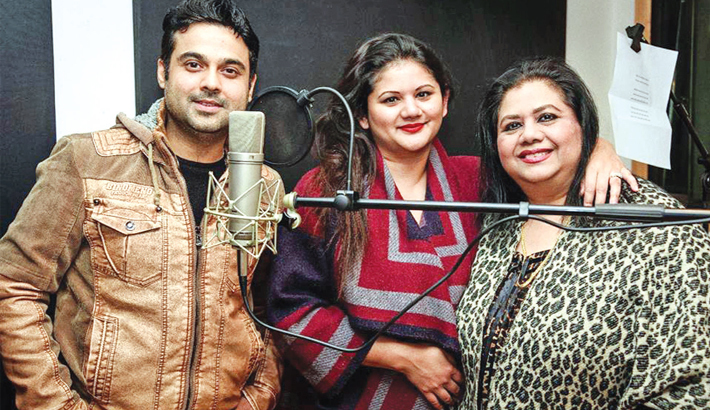 The other day it was announced from Dhurba Music Station that a few singers will render their voices to the compositions of internationally-acclaimed singer Runa Laila. And one of those singers is Runa’s daughter Tani Laila. Recently, Tani has rendered her voice to a song of her mother’s composition after more than a decade. Runa Laila informed that the song was recorded under her own (music) direction at London’s High Street studio on March 10. The song’s lyric has been written by lyricist Gazi Mazharul Anwar. It reads like this – ‘Ami Keno Tomari Hoye Gechi Por’. Playback singer Runa Laila made her debut as a music composer last year with her work in ‘Ekti Cinemar Galpo’, a film which was directed by veteran film actor Alamgir.